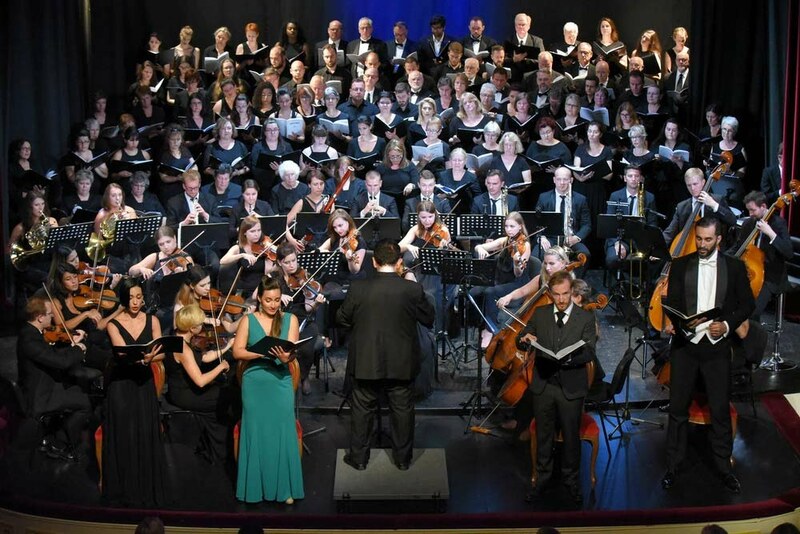 Another great festival season starts on Syros! 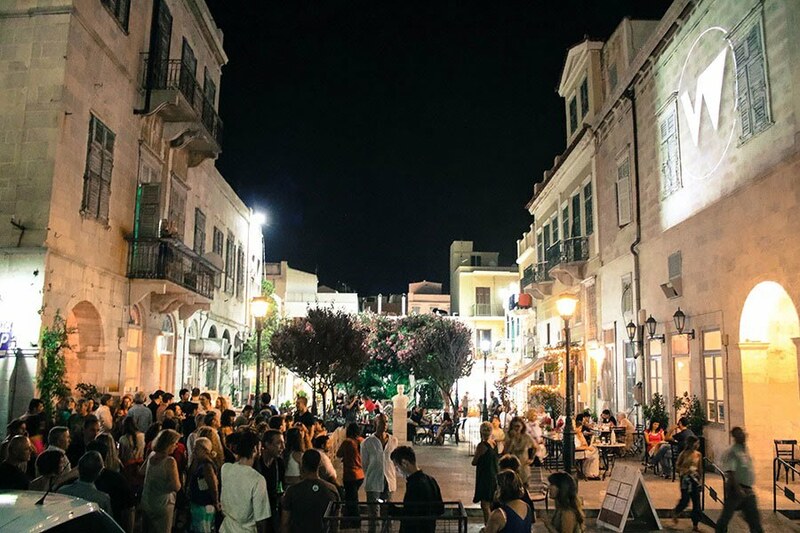 Curated by the Syros – Ermoupolis Municipality, SYROS CULTURE 2019 brings unique, high-quality experiences to the heart of the Cyclades from May to October – concerts by prominent music artists, theatrical performances, art exhibitions, and children's events. Hosted in the island’s medieval settlement, Ano Syros – the birthplace of Rebetiko legend Markos Vamvakaris – as well as at the Apollon Theatre – one of the oldest theatre houses in Greece, a landmark neoclassical building in the country’s first commercial hub, the port of Ermoupolis – and in the island’s picturesque villages, with their spectacular architecture, SYROS CULTURE 2019 offers an array of not-to-be-missed cultural experiences on this beautiful island. At the festival of traditional dances "Syrianopato", children's and teenage dancing groups present a rich music-dance program with traditional dances from all over Greece! The festival is organized by the Folkloric and Dance Group "The Wisdom of the Tradition". A festival full of passion thanks to the heart and soul of the organiser, Christina Sarioglou. 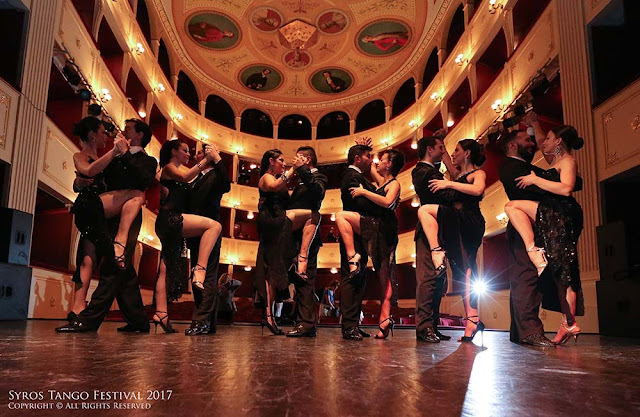 Now in its fifth edition, Tango Festival goes international, featuring acclaimed performers from Argentina and Europe, and aiming to attract ever larger Greek and international audiences. The festival also features seminars for all levels, milonga evenings, and riveting performances. A vision of Angeliki Sigourou, the 7th International DanceFest features a wealth of events and workshops on contemporary dance, choreography, ballet, clown improvisation, dance architecture, Alexander technique, body music, theatre, flamenco, and yoga; also, a creative-dance workshop for people with and without mobility impairments, and a creative contemporary dance workshop for parents and children. Moreover, on top are dance and theatre performances from Greece and other countries, as well as parallel events in public spaces. Notably, in 2016, Acropoditi Dance Theatre Company received the Karolos Koun Award for Medusa and their outstanding contribution to Syros culture. Organised every year on the island of Syros, the International Festival of the Aegean plays host to extraordinary opera recitals that attract thousands of visitors. Founded in 2005 by the Greek-American conductor and music director Peter Tiboris as a labour of his love for Syros and the iconic Apollon Theatre, the festival, now for the 15th time, under artistic director Eilana Lappalainen, attracts world-class artists from many countries and makes the capital of the Cyclades a summer destination for music lovers from Europe and all over the world. SIFF was founded in 2013 by Jacob Moe in collaboration with Cassandra Celestin. 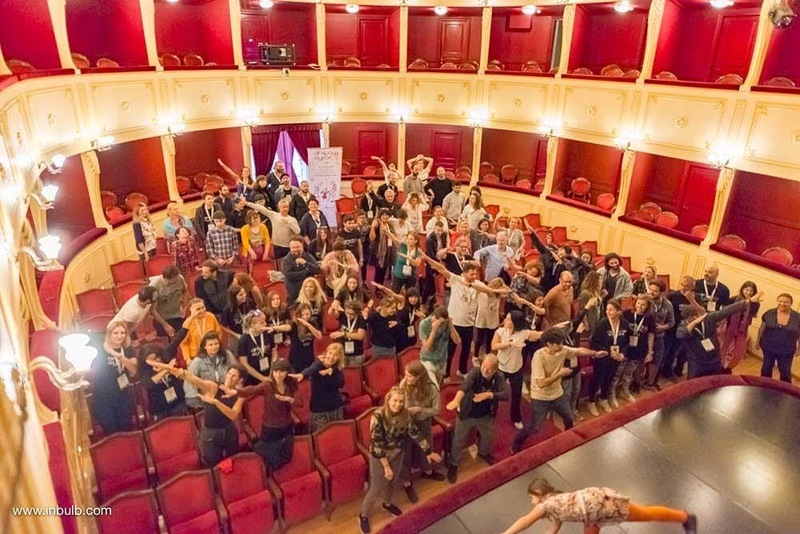 An annual meeting place for Greek and international indie cinema, with a variety of sections, including a competition section, short and feature films, special tributes, and many side events and debates, which take place in remodelled and traditional venues and other fantastic locations on the island. The Syros International Film Festival is organised in collaboration with the Stavros Niarchos Foundation and the Onassis Cultural Centre. A unique experience, featuring major Greek and international filmmakers. Each summer, accordionists from Greece and other countries meet on Syros to share their passion for music. Since 2012, the festival has been supported by accordionists and accordion lovers. 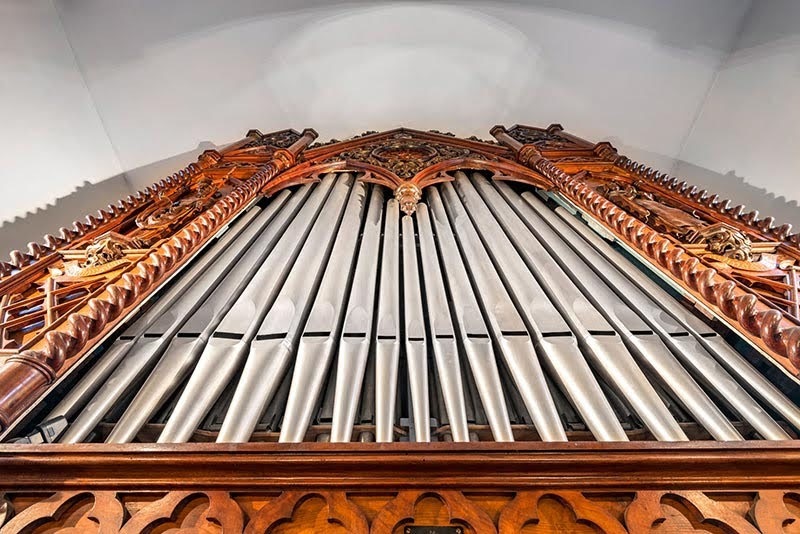 Spurred by their love for the accordion, Christelle Loukitch and Kandia Printezi (of Ourios Anemos nonprofit organisation) showcase the diverse possibilities of the instrument. 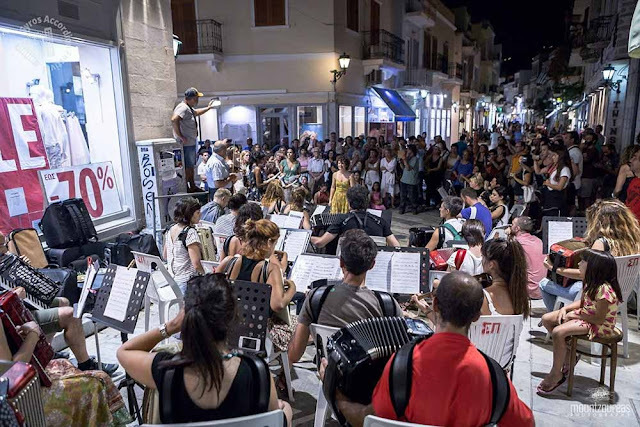 Now in its seventh round on Syros, the festival features unique accordion concerts and recitals in the only event dedicated to the accordion in Greece. Moreover, recitals by acclaimed accordionists, seminars, exhibitions, children’s workshops, concerts and dancing events. 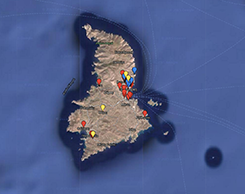 A festival that brings together the unique architectural heritage of Syros and contemporary video art and installations. Filia Milidaki and her team have created a festival of world-class originality. International artists produce video art and installations in the extraordinary neoclassical buildings of Ermoupolis in the only festival of its kind in Greece. Video art, installations, and performances meet against the backdrop of the city's unique architecture. 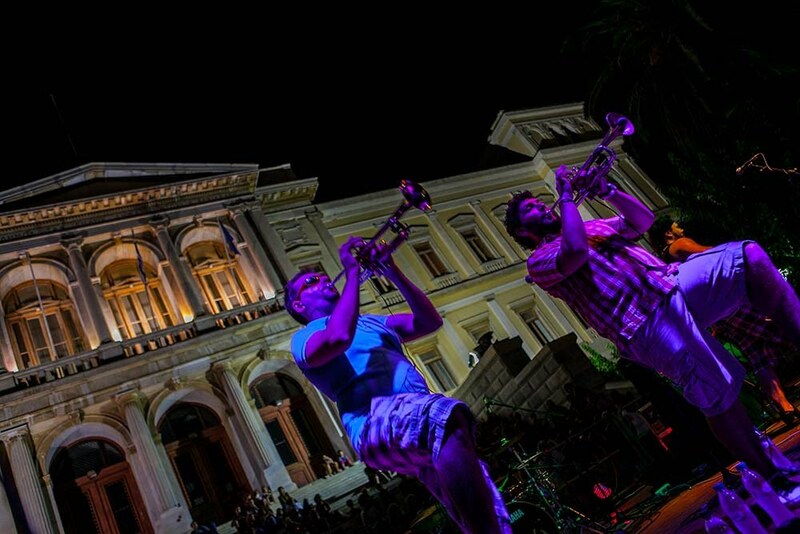 Syros Jazz Festival is the creation of Vangelis Aragiannis and Yannis Roussos’s love for Jazz music. The festival began in 2013, and its organisers had already produced a number of important live music concerts. One of the festival’s highlights was the presence in 2010 of two great American artists, singer Miles Griffith and drummer Clarence Penn. Every year, the festival hosts important acts from Greece and other countries. In addition to concerts, it features improvisation seminars and Jazz film screenings at Apollon Theatre, as well as high-quality side events. The festival's events in October mark the conclusion of SYROS CULTURE 2019 organised by the Municipality of Syros – Ermoupolis, which is an integral part of cultural life on the island. More press releases will follow before each festival.